Kids Who K.A.R.E. Camp is an official Certifying Organization (CO) for volunteer service hours. We also work with families to order and issue the President’s Volunteer Service Awards (PVSA). Along with the ultimate honor of presidential recognition, PVSA recipients receive a personalized certificate, an official pin, medallion or coin and a congratulatory letter from the president of the United States. It is a wonderful way to acknowledge and celebrate the impact your child has made in bettering our communities and our world. K.A.R.E. Camp facilitates the creation and maintenance of your child’s volunteer profile and their volunteer service history earned during their time at K.A.R.E. Camp. As a Certifying Organization, K.A.R.E.  Camp can also order and issue awards for various age and achievement levels for volunteer service. Award levels start with children as young as 5-years old who have earned 26 or more hours in a 12-month period. Campers in K.A.R.E. Summer Camps typically earn between 25-30 hours in one week of camp, so the majority of children (ages 5-10) at a minimum, earned their Bronze PVSA! 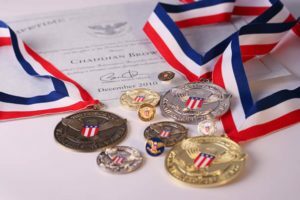 Teens (ages 11-15) qualify for Bronze by earning 50 hours in a 12-month period. We are very proud of the following K.A.R.E. Campers who qualified to receive the great honor of Presidential recognition from their volunteering and service in 2017.